**MONTHLY RENTALS ONLY** Spacious 3 bedroom, 2 bath condo only 4/10th of a mile walk to the beach entrance. 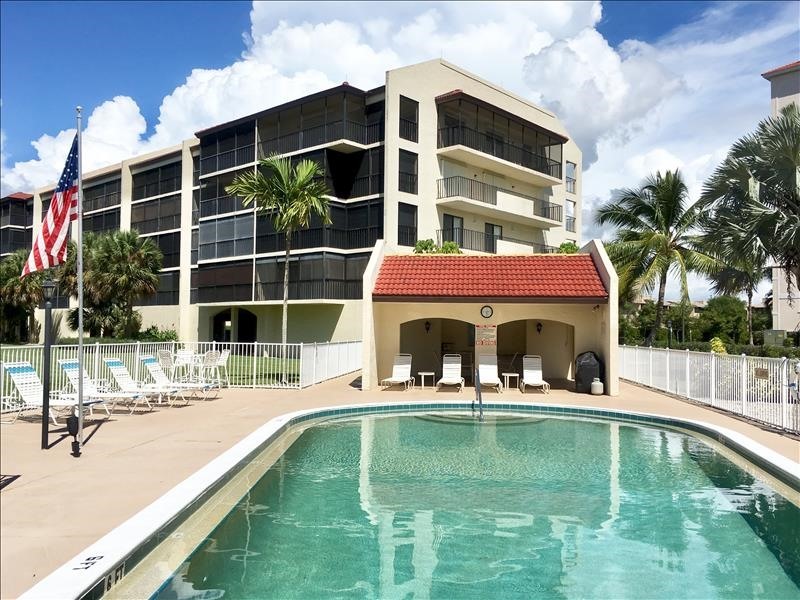 Located on the southern part of Marco Island; this condo is near numerous restaurants, movies, and mini golf. King bed in master bedroom, with a full size and twin beds in the two guest bedrooms. Large balconys and covered parking. Heated Pool just steps away.